When it comes to wedding decorations, most people automatically think of flowers. As pretty as they are, flowers are not your only option. One beautiful idea for wedding décor is fresh fruit. Fruit comes in many beautiful colors, and there is something pretty available in almost any season. There are many decorating schemes that could be based around your favorite fruit. You can use the natural color of the fruit as a jumping off point to create a fresh and natural color palette for your wedding. One of the first fruits that comes to mind is pears. Their greenish-yellow hue is a great color to use in your wedding. Pears also have a sensual form that makes them visually appealing. 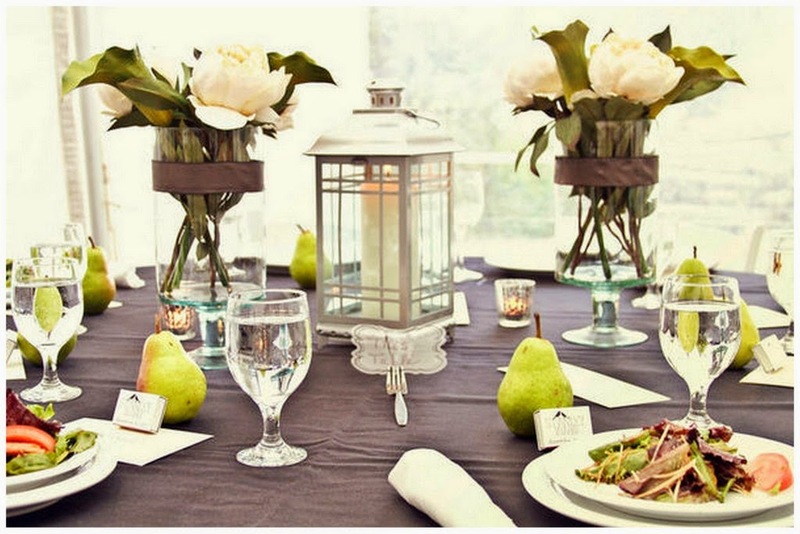 There are many ways to use a pear motif in your wedding. Start by choosing an invitation with a pear engraved on the top. 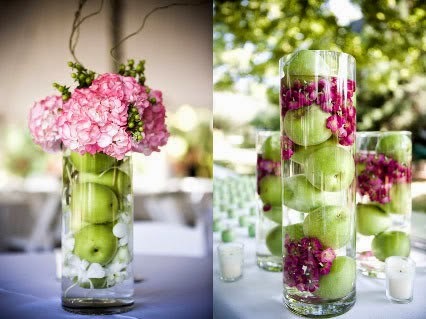 For your reception, you can fill tall glass cylinders with pears and arrange a display of green and ivory flowers cascading out of the vessel above the fruit. The color of pears also works very well in combination with gold, which allows you to take your fruit decorations to a level of high elegance. For your tables, look for ivory china with gold borders to set on ivory brocade linens. The fresh green color of pears will look beautiful as bridesmaid dresses. You can complete their look with bridesmaid jewelry sets handcrafted from gold with green crystal accents. 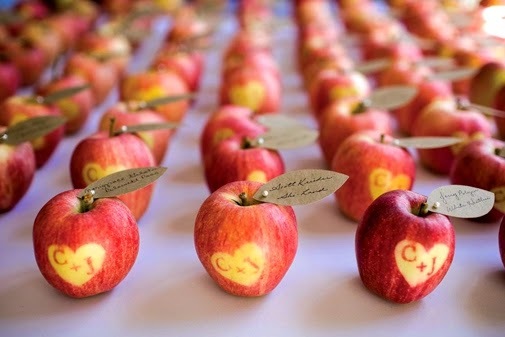 Apples are another popular fruit to use as wedding decorations. They are a particularly good choice for an autumn wedding. 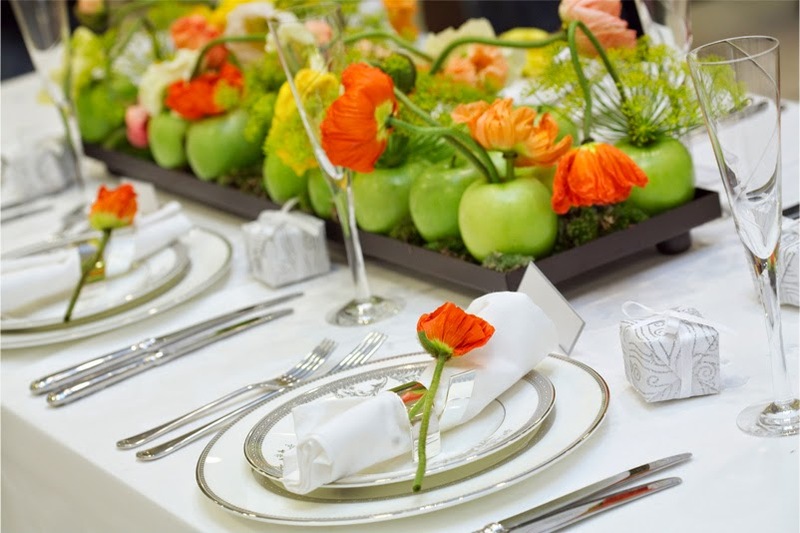 Apples look great in clear vases, spilling out of cornucopias, or even wired into floral centerpieces. Tiny apples would be a darling touch tucked into the bride's bouquet. The rich red of apples works very well in conjunction with other warm fall colors, or you can choose to use the bright green of Granny Smiths for a more vivid look. 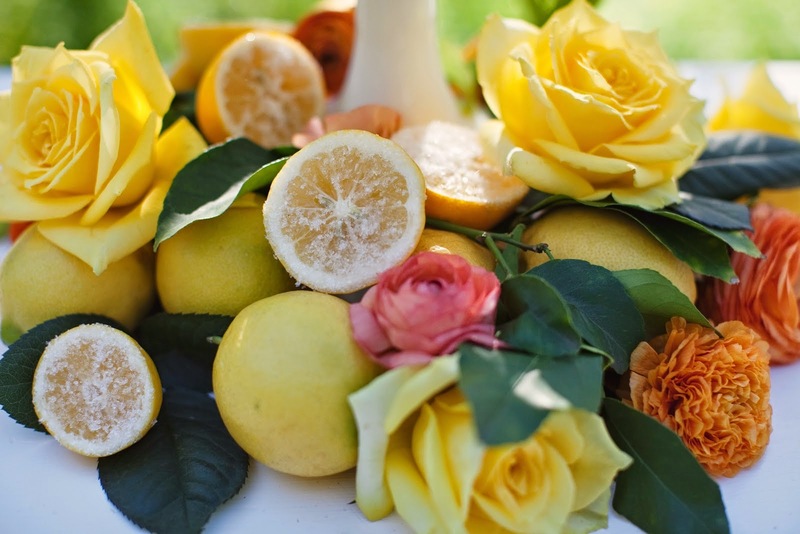 Citrus fruits are another great option for wedding decorations. The vivid, fresh colors of oranges, limes, and lemons can be used individually, or all together for a bright summery palette. Like the other fruits, show off the citrus in tall clear vessels, either as a stand-alone design element, or in conjunction with flowers. 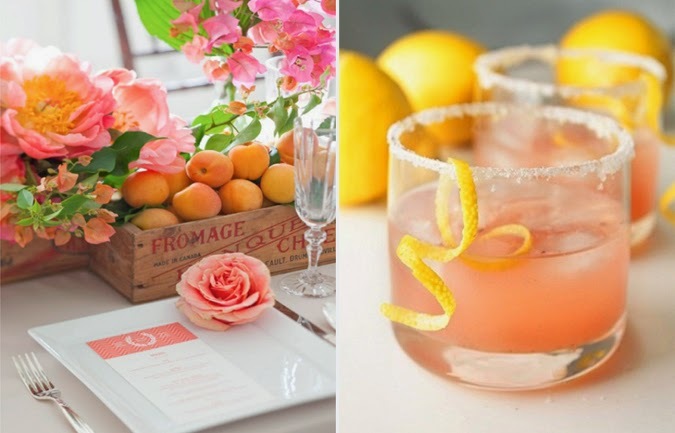 You can bring the fun citrus colors into your wedding attire though the use of sashes and accessories like bridesmaid jewelry sets. It would be very pretty to give each bridesmaid a set of jewelry in a different citrus color. 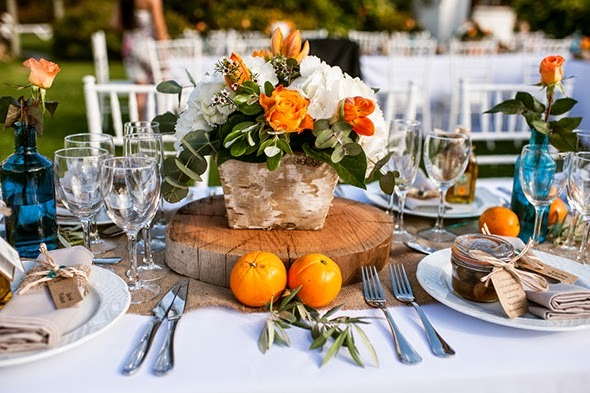 Oranges can also be used to decorate fall or winter weddings. Create wonderfully scented pomanders by studding whole oranges with cloves. You can either hang them around the reception with satin ribbons, or pile them high in open bowls. The warm, rich scent is perfect for the winter holiday season. One of the great things about using fruit as a wedding decoration is that it is unusual, and will give your wedding a singular look. The other great thing is that using fruit will be much less expensive than trying to fill a room with an abundance of flowers. It is always nice when you can find a way to make your wedding design look special while saving money as well.